The project is 75% funded by a Federal Emergency Management Agency (FEMA) hazard mitigation grant. 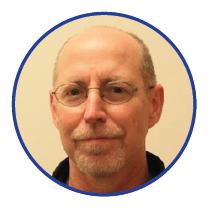 The City of Lincoln and Lower Platte South NRD are cost-sharing 25% of the project, with the city’s funds coming from the 2016 stormwater bond. The design of the drainage improvements began in June 2016, and public input was collected to help inform the design process. Property owners in the project area were involved early and throughout the design. The public was invited to provide input on the improvements during the public meetings in October 2016 and February 2017. Construction of the drainage improvements began in March 2018. • Fletcher Ave. bridge replacement is anticipated to begin in February 2019 and be completed in July 2019. • The resurfacing of Fletcher Ave. is anticipated to begin in April 2019 and be completed in July 2019. • Access to properties in the project area is a key consideration of the construction plan. 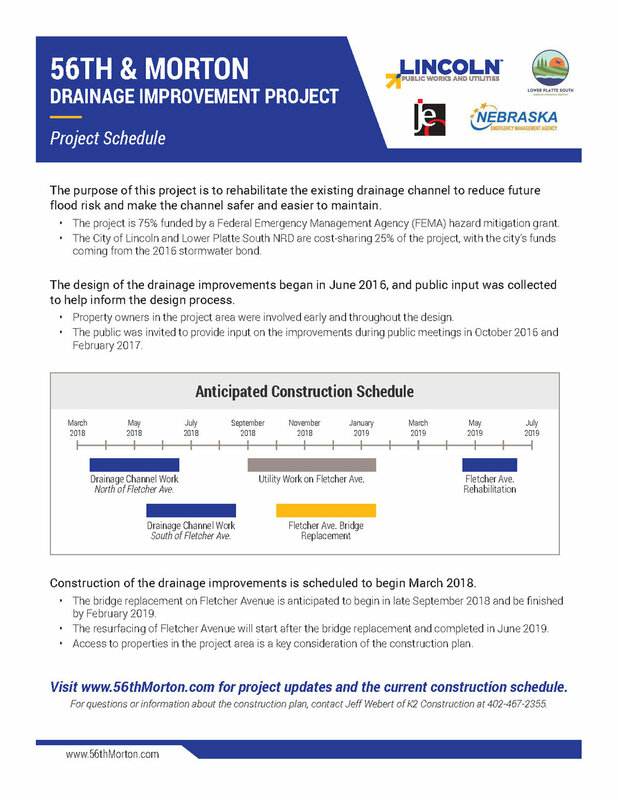 The pre-construction open house for the 56th & Morton Drainage Improvement Project was held on March 16, 2018 from 4-6pm at Vital Services (6400 Cornhusker Hwy, Suite 250). The meeting provided an opportunity for the community to review the final design and learn about the anticipated construction schedule.